Found your blog. Am retired (female). Looking for suitable sidearm for defense -- possible ccw. DA .38+P revolver suggested; also .410 long gun. Am familiar with long guns, but not pistols. Hi, thanks for writing! Whenever anyone asks me for a gun recommendation, I always suggest you first try shooting a wide variety of guns before you decide on a purchase. Choosing a gun is the same as buying shoes - you have to try them on for size. It's very common that someone suggests a .38 revolver for women - for some reason women are though to be too weak to rack the slide on a semi-automatic and that semi-auto pistols and all their parts are "too complicated" for us. It's insulting, really. So go out to a range with a friend who has a lot of guns, or rent a few different types, and try them all. I carry a Bersa Thunder .380 (semi-auto) because it was a good compromise on size, concealability, and caliber. For the life of me, I've never understood the double action .38 +P revolver recommendation for a woman's first gun - probably because it was my first experience with a gun and I hated it. The trigger pull was heavy and hard to manage accurately, there was a good bit of smacky, stinging recoil, and a bright enough muzzle flash to scare the bejeezus out of a newbie. If it weren't for my sheer stubbornness, I might have set down that pistol, decided that shooting was awful and never gone to the range to try again. But go to most gun shops or outdoor superstores and that's what they'll recommend, and very frequently in pink. They will tell you it's light and easy to shoot, a perfect purse gun. You know, because ladies like pink and only ever carry their guns in their handbags, right? They'll also tell you that revolvers are so much simpler to clean and load than semi-automatics - heaven forbid you should worry your pretty little head about all those pesky moving parts. But haven't any of these men ever used a sewing machine? I can load and shoot a M1911 but Lord help me, don't ask me to thread the needle on a Singer. And that whole business with the bobbin? Don't get me started, I almost failed Home Ec. So, in short, there is no best gun for a woman...but there is a gun for everyone. I agree with you for the most part. I recommend a revolver for purse/off body carry, because of less maintenance, i.e. dont need to rotate mags. That and i just love a revolver. But as always go to a range rent a few sidearms and shot them all, get one you like that a: fits your hands, and b: you can shoot well. Hey that's the same advice I give most first time shooters. Got to a range with a big rental section. Shoot through it until you find something you like. I do understand the revolver part. I've taught a people to shoot and running a double action revolver is just more intuitively obvious for a lot of people. I don't get it myself but I've definitely observed it with people I've taken to the range. Hate the emphasis on lightweight snubbies for women though. If you don't have any weight to tame recoil, no even moderately powerful round will be fun to shoot. Glock 19 is the perfect carry pistol for anyone. 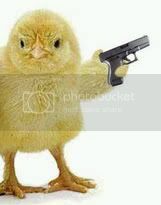 You have to shoot it until your hands know it, but thats true with any pistol. FWIW, I recommend that every persons First Gun should be a 22. Man or Women, Young or Old, if you've never shot a firearm before, get a 22. Why? Practice! You learn your sight picture, what grip works best for you, you learn how to make it run, how to do its reloading, find out whether you're cross-dominate, and much, much more. With Ammunition costs today, it also gives you time to build up your muscle memory. Rifle, Pistol, Revolver doesn't matter. See what works for you, then practice. CCW? Probably not. Home defense? Last choice, UNLESS you are physically unable to handle a larger caliber. Know anyone who's sane that is willing to catch a few rounds of 22 in the chest? There are probably a few thousand people in our country who were handed a 9/40/38/357/45, etc who never fired a gun before and walked away after a few rounds. Start them off low and slow, and they'll keep coming back. Later, they can always trade it in for something bigger, or they can start a nice little collection of their own. My $.02, of course. I always cringe when I get this question remotely. Not because I don't want to help, there's just so much more to it than "go to the range and try a bunch." Imagine yourself alone and frightened enough to convince yourself you need a gun. Gender doesn't matter here but go with female since this is what the post is about. You have how many friends you trust? How many are gunnies? The depressing answer is probably "few" and "zero." She's emailing you across the anonymous internet for advice after all. So they're off to the range by themselves? Remember your first range trip? It's like going golfing for the first time only you can kill somebody accidentally. Are these clothes alright? Where do I pay? How many clubs? Irons or woods? Do I need a cart? 9 or 18 holes? What are these tee marker things? Bag? Can I rent? Does renting make me look dumb? I have to buy the balls too? Is everybody laughing? Can I go now? Should they be swinging toward me like that? If the question comes to me and I can't physically be there with them, I'll stop at suggesting they find a gun oriented person they trust in their area. Maybe a friend but probably an instructor they find on their own (as opposed to taking the card of the day from a counter jockey). This doesn't solve the problems but at least they aren't alone. If they're in my area, my response will be let's head to the range and see what you like! My mother had a Glock 19 until about a year ago, when she came to me with a problem. She is getting older, and now has to deal with arthritis, and can't rack the slide on an auto any more. So I got her a J frame S&W. We went to the range, and she had a hard time with the 12 pound trigger. So, I took it to the shop, and now it has an 8 pound trigger. She loves it. oh oh!!! I know this one!!! Over the last few years I have been gradually (as I can afford it) compiling a small collection of firearms that run the gambit of firearms commonly used for self defense. It isn't perfect yet, but I have a fairly good cross section running from lil .22 auto, 9mm (dao and da/sa), .45ACP, .38/.357mag, and for the real adventuresome, a .44mag Rugar Bisley (just for the fun of it). The idea is to be able to take a new shooter to the range and give them the info needed to decide what they like and what best suits their needs. Friday, I finally got my first chance to introduce (a very pretty, female) someone to shooting. I started her off at my house with a quick familiarization course covering safety, stance, and an over view of the differant firearms so that she would be comfortable and know what to expect at the range, then we went shooting. At the range, I started her off with the little .22 auto. She thought it was fun, but a little anti-climactic. 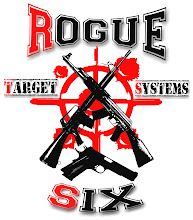 The rest of the order went; 9mm, .38/.357 with .38WC, full size 1911 .45, .38/.357mag with .357mag ammo. After she fired some rounds through each I checked to make sure she was still having fun. Needless to say, she was. I was a little worried that the top of her head was going to fall of because her grin was just that big! Finally, we got to the .44mag. (I was a little worried about this one as the last woman who had insisted on firing it almost creased her forehead with the front sight.) I opened the box and only had 9 rounds left as I don't tend to stockpile the .44mag like I do the others due to expense. So, I loaded up 3 and had her stand beside me as I fired them so that she could get a feel for the "boom" and be sure she still wanted to try that one. After the first shot, half the firing line stopped. The guy in the next shooting position said "Holy s#it, What was that?". You will recognise his reacting if you have ever touched off a .44mag in a small indoor range, in my experience this almost always happens. Once I fired the first 3, she was sure she wanted to try it so I loaded it up, gave her some extra pointers on stance and grip and let her go for it. SHE LOVED IT! When she finised with those 6, she even went out and bought another box of .44mag so she could shoot it some more! The .44 has some pretty serious kick, but when she was shooting it, it moved even less than it does when I shoot it. Apparently I need to pay more attention to MY grip and stance! I am having somewhat the same issue, in that I am very interested in learning, but have no idea where to start. I've been reading up lately, but finding an instructor is scary because one of the things I've read is that a bad one can ruin everything before you even get started. At this point I haven't even figured out what questions to ask. So, where to start for a person who knows no one and has no backgound, having never even been exposed to firearms? Between my 4 kids and their friends, I've introduced quite a few young people to handguns. On average, handling wheelguns doesm't come as intuitively to this younger generation. Many of us grew up seeing wheelguns daily in the movies and on TV. Even the least gunnie of us needed no introduction to swing out cylinders and loading gates. While I agree that bad instructors do exist, I believe they are in the vast minority so you should be able to find a good one. Look for someone who talks TO you, not over you, and who seems genuinely interested in answering your questions. If you would give a little more info like roughly where in the world are you and what you are looking for; self defense, hunting, target/action shooting etc, another commenter might know someone in your area that they would recommend. For sporting purposes, I tell them to get the appropriate firearm for that particular use. I wouldn't suggest a tactical autoloading shotgun for someone looking to bust clay pidgeons, anymore than I would suggest a scoped, match grade race gun for a limited class pistol competition. My advice is for the newbie to be completely honest and evaluate exactly what the gun will be used for. If the answer is anything other than 'employing lethal force to lawfully defend my life or the life of another' then I tell them to either reevaluate their proposed solution, or just forget about getting a gun altogether. If the shooter isn't willing to pull the trigger and possibly killing an attacker, then they have absolutely no business pointing guns at people in the first place. Once we've settled in with the idea that we may in fact need to sling hot head at live human beings, then the selection process almost solves itself. 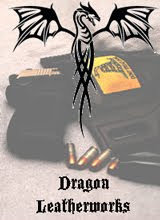 We look for a weapon with the right combination of ergonomics, concealability, cost, and power. I prefer a .45, but will always choose a .380 NOW over a Special Swat Tactical Combat Forces Eradicator tucked away in the lock box in the trunk. I had the exact same experience with a .38 special. I bought it from a friend of a friend because I needed a gun *right then* (unpredictable ex, living in an, ahem, interesting neighborhood). Once I actually fired it, I couldn't get rid of it fast enough. Best gun for a woman is the most powerful caliber she can shoot consistently and accurately in a high-stress situation. It might be a .22 LR, it might be a .500 S&W. It might be a revolver, it might be a semi-auto. The important thing is she is confident enough to deliver four rounds center mass inside a few seconds. If he's still standing after that he'll be close to put one right between his eyes, in which case caliber is irrelevant. 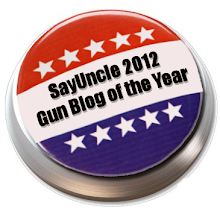 I carry the Bersa 380 Thunder as well for many of the same reasons you site. Love the feel, weight, conceal-ability, ease of firing, etc., etc., etc. All the best as you make you decision based on your needs and abilities, not on those perceived by others. One possible source for an instructor is your local county sheriff's office. They may have classes they offer several times a year. They also may have a list of acceptable CCW instructors. You may gain the name of an instructor that could help you with an introduction to firearms even if you don't go with the person you talk to but get another name suggested by them. Asking at a gun club is a possability, as is looking for an NRA Women On Target program. Also check at any local gun stores. Ask as many places as you can and see how often the same name comes up. Note, not everyone can just go to a rental range. A small rental range is 35 miles away from my area. A larger one is 76+ miles away, one way. I don't PUSH the revolver on anyone at all. I have, on the other hand, taught enough CCW classes by now to know to ALWAYS have one available, SOMEONE is always going to be interested in at least trying one. It is very hard to give advice out of your area because you don't know the resources available in cities or states away from your area most of the time. Did you give her a link to Cornered Cat as well? This is just one anecdote... but the first gun I put into my wife's hand was a Bersa .380. She hated it, because it was too small. The guy in the stall next to us that day offered her a 1911, and she loved it and shot it well. 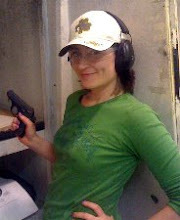 Other women I've taken to the range have almost universally hated my .38 snubbie, and loved my Glock. Heck, I don't even like shooting my .38spl. Thanks, Breda, for your post and all of the commenters for the advice. I am in the Little Rock area and checking with the sheriff's office sounds like a good idea. Right now I am just interested in learning, so target practice to start, with an eventual goal of self protection. Since I work at a place decorated with big ugly signs that say no lethal weapons allowed and we don't care if you have a permit, I won't be able to carry regularly. Too bad, since my workplace is right on the edge of the worst part of town and I come and go at odd hours, parking in a not particularly well lit parking deck where interesting things have already happened despite our fabulous security. I don't like to shoot .38+p or .357 in a snubbie. It's painful. I'm also 6'4", 250 lbs and I used to be able to bench press 400 lbs. Several years ago my little sister wanted to go shooting. I dumped out all my handguns from the safe, showed her how they worked and dragged them all down to the range. Out of all the guns, revolvers and semi-auto alike, my sister picked an antique WWII Enfield break top revolver in the very sedate .38 S&W chambering as her favorite. Best advice you can get is find someone who shoots and get them to let you shoot their guns. I think You'll find that most shooters are very friendly folks who are more than happy to get another in the fold. I think be603 has a good point. Hollywood certainly has an effect on peoples' perceptions and all the bad-asses and hot chicks, I've seen in the in the movies and on TV carry autoloaders. Maybe that is what people outside the gun culture are programmed to expect a gun to be.